1. Threaded connection: the valve body has internal thread or external thread connected with the threads of pipe. 2. Flanged connection: the body has a flange connected with pipe. 3. Welding connection: the body has a welding groove connected with the pipe. 4. Clamp connection: the body has a clip connected with the pipe. 5. Bite type connection: connected with pipe using card sets. 6. Wafer connection: directly use bolts to clip the valve and pipe ends together. 1. 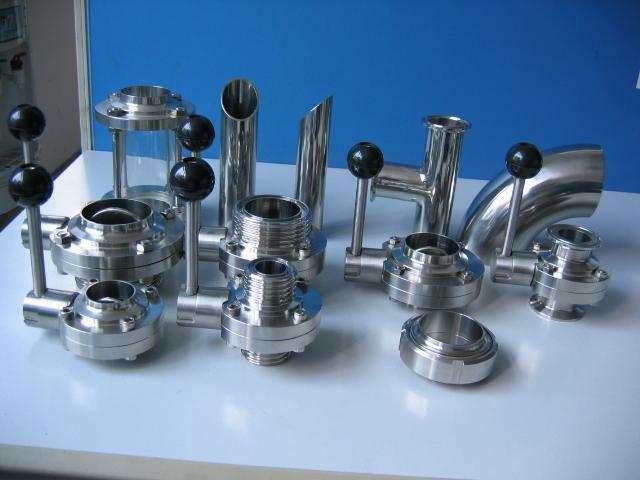 Metal materials: the valve body is made of metal materials, such as cast iron, carbon steel, alloy steel, copper alloy, aluminum alloy, lead alloy, titanium alloy, monel alloy, etc. 2. Non-metallic materials: the body is made of nonmetal materials, such as plastic, ceramic, enamel, glass fiber reinforced plastic, etc. 3. Metal lining: the external shape of valve body is made from metal, while every contact surface with medium is internal lining, such as rubber, plastic, ceramic, etc.